An industry icon that needs to introduction. 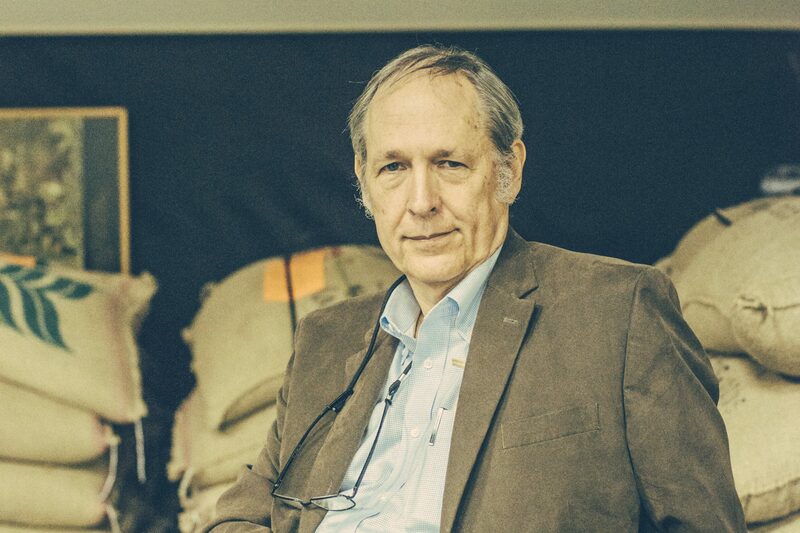 George Howell needs no introduction in the specialty coffee industry. He’s an icon here. He’s received the Specialty Coffee Association’s Lifetime Achievement Award. He sold a 24-store company to Starbucks back in 1994. 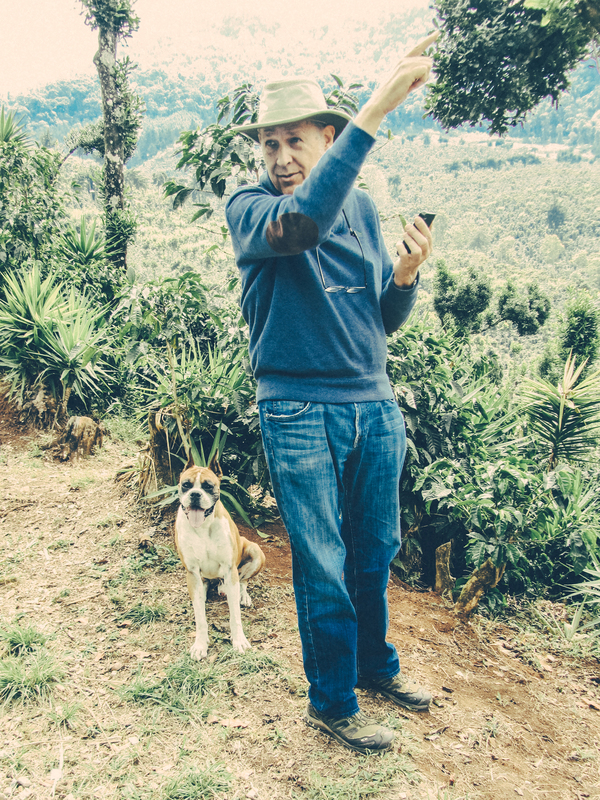 He’s worked with the UN and International Coffee Organization on economic sustainability for coffee farmers. He went to Yale. And oh yeah, he founded Cup of Excellence. George and his team, combined with an incredible network of skilled farmers, consistently puts out some of the best coffees we’ve ever seen. You can read more about George and his company here—we can’t fit it all in this post, but it’s well worth your time. Needless to say, this month’s Espresso Subscription shipment is a real treat. 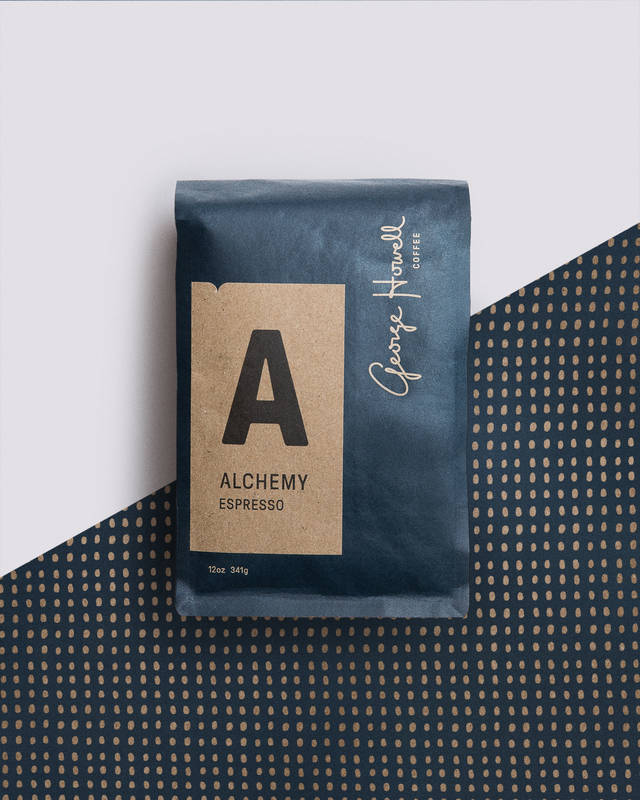 We’re not only excited to have George Howell Coffee in our Seattle Cafe for the entire month during the SCA expo, but we’re thrilled have the chance to send two bags of their espresso to each of you. We asked their Quality Control Manager, Rachel Apple, to give us a more detailed look at each coffee. The Mamuto AB is a North Italian espresso roast with strong black currant coated in cherry-coated dark milk chocolate. Mamuto (whose name means ‘father, mother, and children’) grows beneath the slopes of the usually overcast seventeen thousand-plus foot Mt. Kenya, looming above to the north. The soil is deep red-orange in a lush green very gently undulating landscape. Walter Paul Mathagu was an agricultural officer serving the government of Kenya for seventeen years before retiring in 1987. During that entire time Mrs. Mathagu managed the farm. Taking inspiration from their family, Mr. Mathagu explained to me, he and his wife named the farm by combining the first two letters from three words: his name, Mathagu, as the father; Muthoni, his wife’s maiden name, as mother; and toto, meaning child or children in Swahili: thus Mamuto. Mr. and Mrs. Mathagu have six children – three boys, three girls. Their son, Patrick Mathagu, is now taking on the mantle of running this great farm. All the coffee is processed at the farm right through drying. After drying, the coffee remains in parchment approximately six weeks “resting” in protected, aerated bins before being transported for final milling and packaging. Besides coffee the Mathagus maintain a herd of dairy cattle and grow bananas, maize, beans and macadamia on their 21 acre farm. We continue to buy Mamuto’s entire AA and now their AB and Peaberry crops. This espresso demands a higher ratio than we usually work within for our espressos. If it’s feeling too punchy or dense don’t be afraid to pull a longer shot to really let the juicy fruit notes shine! Other Notes: A standout by itself or with milk. This is a modern take on a traditionally darker blend. Looking for sweet citrus acidity up front quickly followed by deep caramel and semisweet chocolate notes. Makes the perfect cappuccino, if we do say so ourselves! Can you please provide recipes adjusted for 9 Bar extractions?